The big payback for following a low-calorie diet and losing weight comes from many ways. You’ll improve your health and your overall quality of life as you lose weight. Losing weight may not solve all your problems, but most people who have lost weight in the past say they feel better about themselves when they’re thinner. If your weight-loss goals are unrealistic, the result could be a painful, lifelong struggle. Being overweight is a risk factor for developing sleep apnea and even though the condition is m ore commonly found in men older than 40, it can affect anyone. Sleep apnea can also cause other medical conditions such as high blood pressure, headaches, and impotency. Losing weight can help reduce the load on your lower back and extremities, which in turn can help reduce the symptoms of osteoarthritis and possibly even prevent joint problems. Excess weight in your abdomen puts extra stress on your back muscles. When your pressure reads above the normal range, you have high blood pressure. Often described as “the silent killer,” high blood pressure can cause heart disease, stroke, and kidney failure — all killer diseases. As you r weight increases, so does your blood pressure. If you’re overweight, just losing a few pounds by eating less and moving more can help prevent high blood pressure. 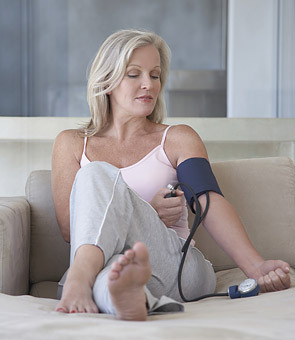 If you already have high blood pressure, losing weight can help bring it back into a normal range. If you’re overweight, the way to help prevent and lower high blood pressure is to eat less, exercise more, and lose weight. If you’re overweight and take blood pressure lowering medication, you may be able to reduce your dose or even eliminate the need for medication by losing excess weight. Reducing your weight by a mere 10 percent can lower your risk of developing heart disease. You can control these factors by eating fewer calories, eating healthier foods, and exercising more. Losing weight can help lower your LDL cholesterol, which is the form of cholesterol responsible for clogged arteries, and raise your HDL cholesterol, which is the form of cholesterol that is beneficial to your heart because it carries excess dietary fat out of your body. Even with normal cholesterol levels, you may be at risk of developing heart disease if you’re one of 55 million people with metabolic syndrome, also known as Syndrome X. The best known treatment for slowing down or reversing the risk factors of metabolic syndrome is to lose weight. Research has shown that a diet providing between 1,100 and 1,950 calories a day can reduce cholesterol levels, blood pressure, and the risk of developing heart disease and diabetes. Overweight people are twice more likely to develop non-insulin dependent diabetes than people who are at a healthy weight. Among those people who are prediabetic, almost 95 percent have high cholesterol and more than half have high blood pressure. If you’re one of them, you’re at high risk of developing chronic conditions related to diabetes, such as heart disease and kidney disease. If you already have diabetes and you’re overweight, losing weight can help control your blood sugar levels and decrease your need for medication. 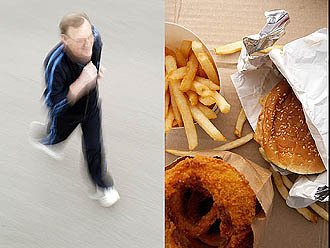 Ask your physician if eating less and exercising more can help you. Cancer experts also list weight loss among their suggestions for preventing cancer because they believe that being overweight and inactive produces changes in the body that encourage cancer cells to thrive and grow. But cancerous conditions also develop in people who aren’t overweight, so medical experts don’t know if that higher risk is actually due to excess weight or if it’s due to eating a high-calorie or high-fat diet. Some evidence also suggests that if you’re overweight, you may get less effective treatment for cancer. Some studies show that labor takes longer for overweight and obese women. Overweight pregnant women are at higher risk of developing medical complications, such as high blood pressure, pre eclampsia, and gestational diabetes. 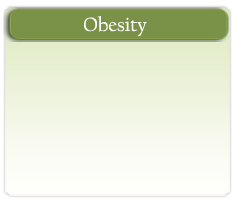 If you require surgery during pregnancy or delivery, your risk of complications increases with increased weight. So loosing weight may serve as a magical treatment of many other ailments.